At the end of KS2 (Y6) schools are required to assess children in Reading, writing, maths and grammar spelling and punctuation (SPAG). Children are expected to sit national tests during May with results published in July. We expect every child to achieve the ‘expected standard’ for their age in reading, writing maths and grammar spelling and punctuation (SPAG) as well as reading, writing and maths combined (RWM). Children who do not achieve the expected standard are assessed as ‘emerging’. 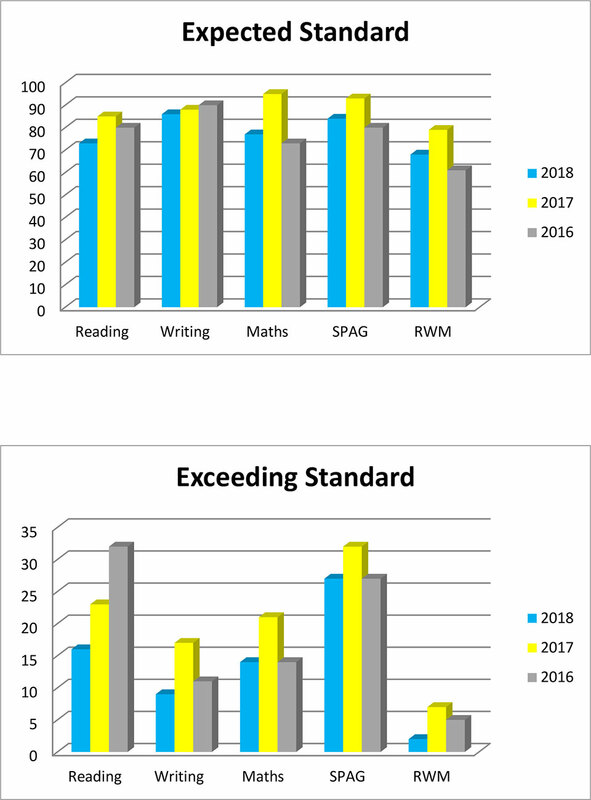 Children working above the expected standard are assessed as ‘Exceeding’. Results are reported to parents in July. This means that the majority of children achieve the expected standard at the end of KS2. There have been improvements from the previous year.